I had some serious time with the 2990WX, enough o really get a feel for the chip itself. That is also where my possession of the Zenith Extreme Alpha came to be. Originally I had tried to test the 2990WX on the Gigabyte X399 Gaming 7. Unfortunately, while the Gaming 7 is a very nice board and plenty capable of running my 1950X all day long, it, unfortunately, could not handle twice the load with two extra dies. 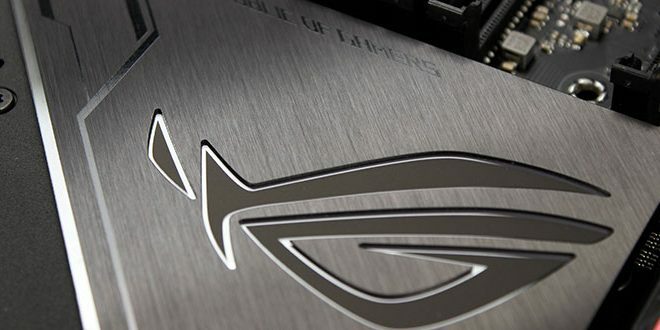 After the failed attempt at testing coolers on the Gigabyte X399 Gaming 7, I reached out to ASUS and they told me they had something new coming for the newest Threadrippers. This was right as CES was about to kick off. Needless to say, I was super stoked when I saw the announcement of the Zenith Extreme Alpha. After CES I had some back and forth with ASUS which eventually led to what you see today. Now, we must find a way to rate our experience with this and how does it rate accordingly. Value – 85 The Zenith Extreme Alpha is very expensive, and it has a bevy of features to back it up. But I do feel that ASUS will need a more cost-effective board to attract users to their camp for 2990WX style adoption. While I do believe that even though overkill for a 2950X as it could run on today’s boards, many will buy this as its the best of the best. However, I really do hope to see a more wallet-friendly X399 entry which includes a beefy VRM like we see here so workstation users who do not need the extra bits the Zenith Extreme Alpha offers can still run the 32 core monster under the ASUS banner. Performance – 90 The Performance can only be judged based on what we observed. The VRM is massive and capable to not only handle the 2990WX but also overclocked. The VRM cooler has integrated fans that kick on when active cooling is needed and they are not obscenely loud like you would expect from such small fans. Innovation – 90 The innovation is a tough one as most of the features we observed already exist on boards, but I would say the true innovation was engineering a board that can handle something like the 2990WX under full load to make a monster professional rig. I am interested to see if ASUS offers a WS model of the X399 platform specially built like this I could see something even crazier coming with a more dedicated workstation layout and feature set. I would also like to see an updated value model X399 with a capable VRM as we see here. Quality – 95 The quality of this board is outright solid. I was tempted to give this a 100 but I still feel there are some reflective plastics used in some areas which can scratch super easily. Areas such as the chipset sink, and the LiveDash OLED area can get scratched or smudged rather easily if you are not careful. This is not a detriment to what we have here but is a minor thing you need to be aware of as it will not impact the performance of the platform. However, it is worth thinking about the fact that a board like this if or when used will likely be a showcase style system and so aesthetics will likely be of high importance. So with that considered the Zenith Extreme Alpha is one hell of a beast of a board. It has pretty much every feature that a ROG board can offer an then a few others. 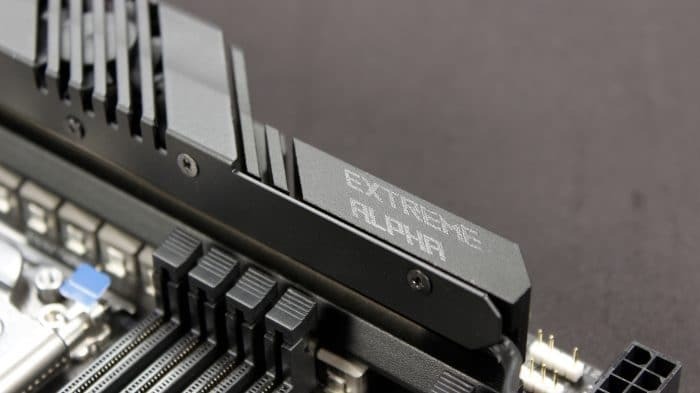 I think ASUS has set the benchmark for how to build an overkill VRM with this and the new Rampage Extreme Omega along with the ridiculous Dominus Extreme which all carry massive VRMs built as a span across the top of the board. Anyone looking to build a capable and flashy Threadripper based rig, especially with the top end 2990WX should be considering the Zenith Extreme Alpha as their ultimate solution.